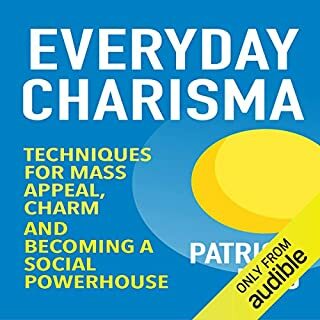 Do you want to become more charming and likable - instantly? Or just make sure you can defend yourself verbally, and not be a doormat? Sounds like you need to learn as many conversation tactics as possible! 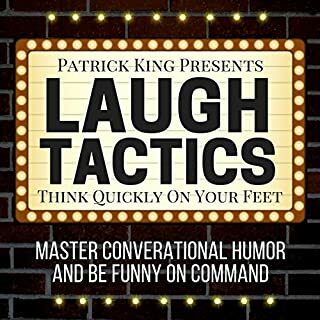 In this book you'll learn 18 powerful techniques that can be used for everything under the sun - charming people, befriending strangers, increased charisma, and even arguing effectively. 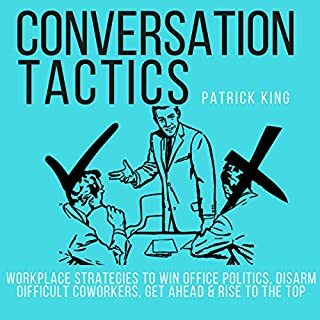 In addition to incredibly shrewd and nuanced insights to make conversation flow, you'll learn how win arguments and diffuse dirty tricks. How standup comedians use conversational high points for great reactions. What the two-second rule is and how it makes you appear incredibly attentive. How interrupting artfully can be your secret weapon to bonding. The singular best way to warm up for any conversation, anywhere. The foolproof method of rehearsing only your hellos and goodbyes. The 2:1 ratio and why math even matters in successful conversations. The logic of not laughing at your own jokes. The five most common argument tactics and how to neuter them. How to deflect any ridicule. Interesting but not really mind blowing. One thing I hated is the narrators voice and the way he speaks, it is so irritating, it's like he's trying to sound so cool and laid back but it was just distracting. 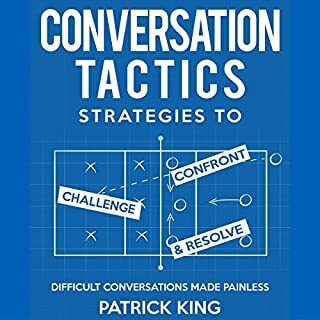 What would have made Conversation Tactics better? The most interesting aspect was that someone with such a shallow approach to conversation would feel so strongly impelled to share it as "the" right approach. If you could play editor, what scene or scenes would you have cut from Conversation Tactics? He did a really great job at laying down what he had. Thing is, I already knew and do much of this book like I breathe. Also it sits on the verge of my personal morals. He says it's not manipulation, yet I can only support that if when you follow his guidelines that you reeaaalllyy ARE interested. Otherwise.... It's manipulation. Liked it. Just didn't learn anything new. This is a book for people who have only recently begun speaking with other humans. The scientist or med student who looked up from their books to notice humanoid life forms passing close to them and decided to attempt communication. Not a bad thing but if you have any facility talking with people you won't learn much here. If the author gave credible information that was not politically driven! Would you ever listen to anything by Patrick King again? No; this has made a horrid impression. VO should be more selective with who they speak for. Anger and disappointment. I was hoping to use this in one of my future lessons. This was OK but the underlying agenda and liberal overtones really diminished any lessons that I should have received from this book. If you're an eight grade introvert held up in isolation and getting ready to venture out to your first social interaction you'll probably want to read this book twice. I'm totally impressed with Patrick King. For anyone struggling in this area this is the best resource. A lot of books emphasize on the positive aspects of conversing, but what about when someone unexpectedly takes a jab or shows disrespect? What about when you're in a group and there is one person there you know you can't respect? 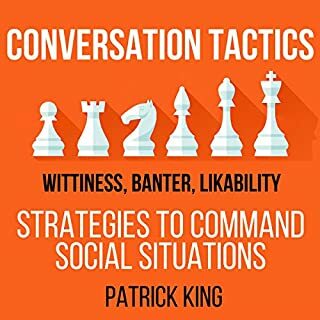 What's great about this book is that the author does guide you through just how to keep a conversation positive without giving off a negative impression that one may get, keep it flowing, and also how to deal with those situations where someone crosses the line. Being a person myself who suffered a lot of ridicule, it was hard for me to tell the difference from taking a joke and someone crossing the line. I like how Patrick goes into these things and makes them clear. I also like how he shows how to take the lead in conversation and keep them going. Very grateful for this find. 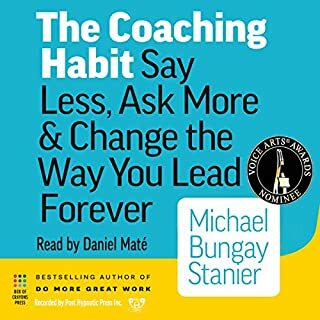 I enjoyed this book and will continue to review this book to emerge myself in the absorbing of the lessons taught in this book. the narrator has a trusting voice. like listening too a family member. 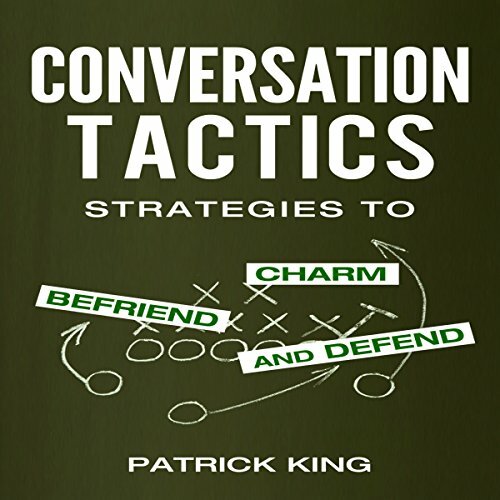 Though I know it is an introductory book on conversation and argumentation, I think it could have gone a little deeper on some topics. Aside that, it was nice. very easy methods to practice and review to hone skills and techniques. Iiked it and will seek more from same author.